The popular Paniyiri Greek Festival is once again taking place in Brisbane! Locals are gearing up for the event which will have traditional Greek food as well as the introduction of The Plateia, and a performance in celebration of the Hellenic Dancers’ 40th anniversary! With over an estimated 20 hours in live entertainment gracing the stage at the event, more than 60,000 people who are expected to attend Paniyiri 2017 will be sure to find many ways to get their Greek on. 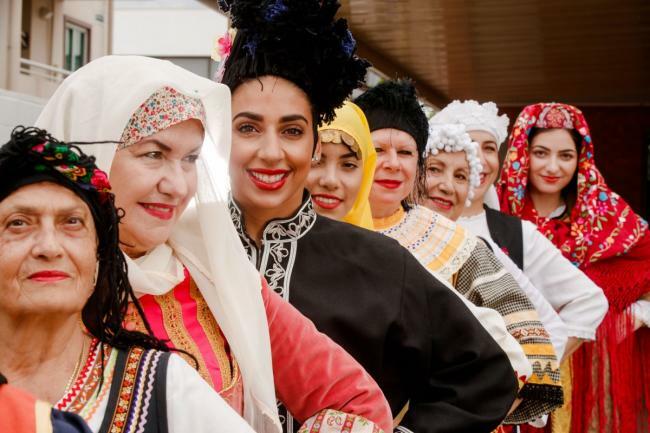 Great performers such as Nick Paras, known as Australia’s best bouzouki player, together with his band NIX Live, singer Paraskevi Kontoleon, the Canberra Hellenic Dancers and many more talents are lined-up for the event. Visitors can even participate in the festivities by joining in the famous ZORBA-Til-You-Drop competition, grape stomping, olive and honey puff eating competitions, spaghetti eating, plate smashing, and other fun activities! There will even be free cooking lessons on display by Melbourne-based chef and author Kathy Tsaples. Paniyiri 2017 is Organized by the Greek Orthodox Community of St George and all proceeds benefit the community through initiatives of the Church. Don’s miss out! The event takes place on Saturday, May 20 from 12 noon, and Sunday, May 21 from 10:00 am at Musgrave Park and The Greek Club (Edmondstone Street, South Brisbane, QLD). For tickets and to download the Anniversary Cookbook for free, look here. Tickets may also be purchased at the door.